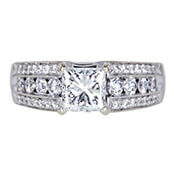 If you’re looking to sell jewelry on consignment, you’ve come to the right place. Worthy is an online auction house where you can essentially consign your jewelry but for a much shorter period of time, and with much higher chances of selling at a high offer. Rather than consigning your jewelry in a local shop where it might sit collecting dust for months before selling, take advantage of our online marketplace, where it will be exposed to buyers from all over the world. We are fully committed to obtaining the highest price possible for each and every valuable we accept, and to ensuring the process is simple yet completely secure. How is Worthy Better Than Traditional Jewelry Consignment? Selling jewelry with Worthy gives you the benefits of consignment and much more. Not only will your jewelry sell faster, but chances are that it will sell for more without you even leaving your home. Here are just a few of the ways that Worthy is the smarter jewelry consignment option. Active vs Passive Selling. From the moment your jewelry pieces arrive at Worthy, our experts are taking steps to get you more for them. First, your jewelry is cleaned and photographed in high quality HD so that it will shine at auction. Then, your pieces are authenticated and graded. Once the auction begins, relevant buyers are invited to compete for your item. No more sitting in a store collecting dust! Transparent Process. 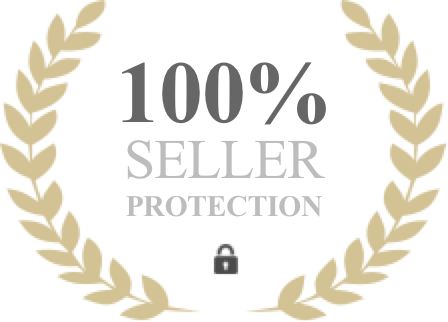 When you sell jewelry with Worthy, you will be provided with all of the information needed to proceed with confidence and trust. You will know the status of your jewelry auction, every step of the way. After your jewelry is graded and authenticated, you will be able to view the full detailed report, helping you understand the characteristics of your pieces. Before heading to auction, you have the opportunity to set a minimum reserve price. If the auction ends below that amount, you have the option to request the return of your item. Competitive Auction. As you may know, jewelry stores do not have consistent foot traffic and the likelihood of customers seeing your consignment jewelry is generally low. 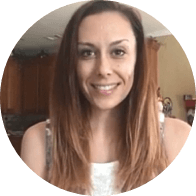 Worthy's auction platform showcases your jewelry pieces to professional buyers actively seeking out items like yours. Simply put, we bring the market to you and increase your chances of higher offers. Describe your jewelry pieces to the best of your ability. Based on the provided information, we’ll conduct a market value analysis, resulting in a trending price. We’ll provide you with a fully insured FedEx shipping label addressed to our New York headquarters. When your jewelry arrives we will photograph it and have it professionally graded at the GIA laboratory located nearby. The grading report and professional photos will be made available to you and the buyers interested in bidding on your jewelry. Set your minimum reserve price and let the auction begin. What Types of Jewelry are Acceptable for Consignment? If you’re not certain whether your jewelry is acceptable, contact us for a quick answer. At Worthy, our foremost values include trust, transparency, and complete customer satisfaction. Beginning with our objective and expert-led evaluations and throughout the entire auction process, we strive for perfection. We are licensed by the NYC Department of Consumer Affairs and are highly accredited by the Better Business Bureau (BBB). Those who choose to work with us benefit from our specialized evaluation process, offered to all clients at no cost. All consigned jewelry items are unique and they should be graded with discerning, expert eyes. 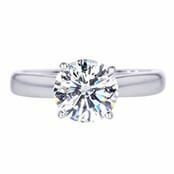 We have partnered with the world's leading gemological laboratories, GIA & GSI to provide a diamond grading, increasing buyer confidence and securing those higher bids. If you are selling a watch, rest assured, we are also working with the trusted experts at Central Watch, located in the heart of New York City to authenticate and properly describe your watch for auction. No matter what jewelry items you are selling, we trust only the most experienced people to evaluate them. 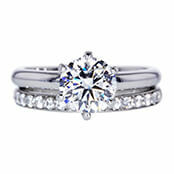 Our clients have consistently received better offers as a result of our jewelry consignment auctions. If you have fine jewelry to sell, you’ll be pleased offers you receive with Worthy.